The Afex Fabric Bag Sleeve is designed to provide additional comfort for long term use of the Afex Male Incontinence System. 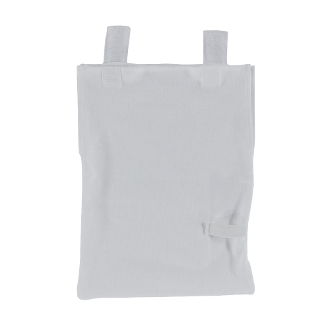 The 100% cotton jersey fabric bag sleeve provides an outer cover for your direct connect collection bag. The sleeve is a comfortable pocket for your bag so vinyl to skin contact is eliminated. The sleeve also features an elastic strap to securely hold the collection bag drain port. Bags sold separately.